CANTON, Ohio — The Chicago Bears and the Baltimore Ravens will open the 2018 NFL preseason fixtures on Thursday night against each other in the NFL’s annual Hall of Fame Game in Canton, Ohio. Live coverage from the Tom Benson Hall of Fame Stadium will begin at 8:00 pm ET and NBC will provide the live television coverage. This preseason game, which will be broadcast nationally, can also be streamed live on NBC Sports with Al Michaels (play-by-play), Cris Collinsworth (analyst) and Michele Tafoya (sideline) doing the call. Football fans can also be able to follow the game on WBBM 780 AM and 105.9 FM, with Jeff Joniak (play-by-play), former Bears guard Tom Thayer (analyst) and Mark Grote (sideline reporter) doing the commentary. Chicago Bears Radio Network and Westwood One Sports will carry live coverage. Rookie quarterback Lamar Jackson, who practiced his play calling by looking in the mirror, could get his chance to call them for real with the Ravens on Thursday. Jackson was a first-round pick by Baltimore in the NFL draft and says he wants to show off his growth as a quarterback. 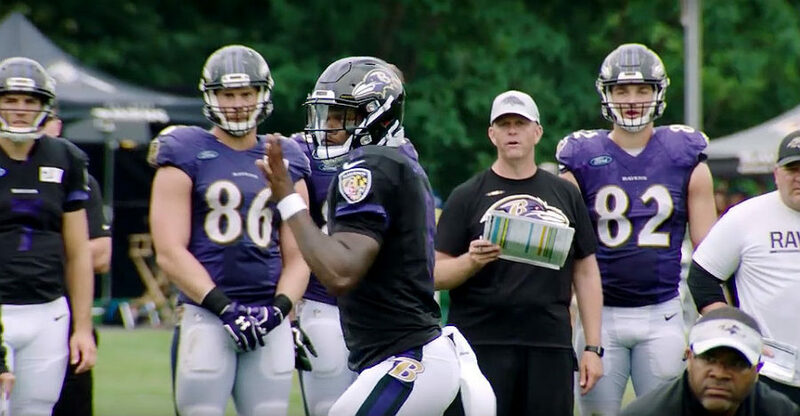 Last month Aditi Kinkhabwala of NFL Network reported that the Ravens ran various plays with two quarterbacks – one featuring Joe Flacco and Jackson, while another one saw Jackson and Robert Griffin III touching the ball. Baltimore coach John Harbaugh insisted that Flacco remains the starter, but confirmed that “one way or another” Jackson will play against the Bears. “One way or another, he’s going to be out there, taking snaps,” said Harbaugh. In the meantime, there are reports coming out of the Bears’ camp and reported by ESPN claiming that the club’s players and coaches are still considering how to handle the national anthem for Thursday night’s game.